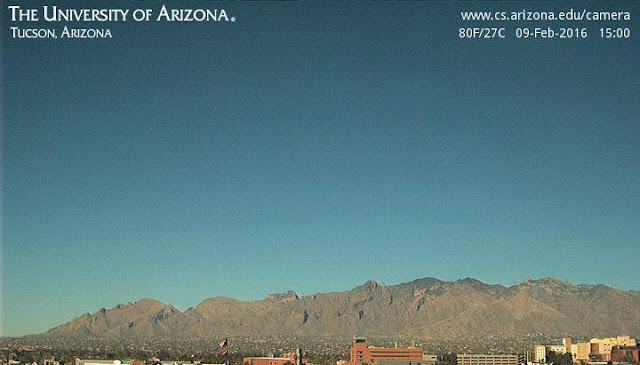 Have A Great "Leap Day"
Clear skies and warm to hot temperatures continue to prevail - temperature at TUS in mid-80s with dewpoints in teens. 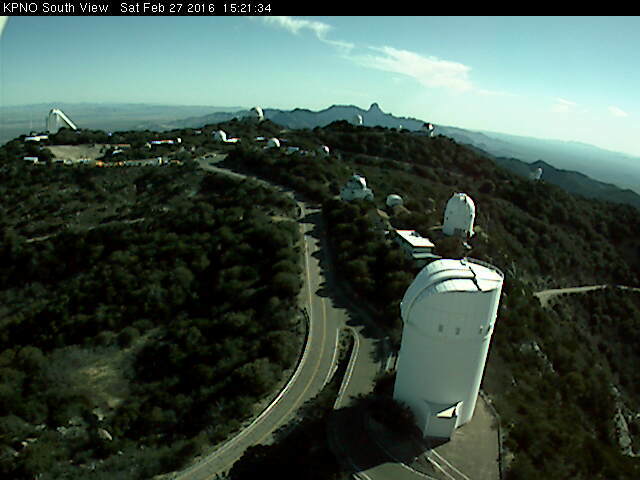 Kitt Peak webcam shows some high clouds down south over Mexico. The forecast for next seven days at TUS has highs ranging only from 84 to 87 F and lows from 46 to 47 F - continuity dominates for the week ahead. The GEFS QPF plumes continue to be flatlined - all a big yawn. As we head into the last three days of February, there's not much on the weather horizon except for continued warm and dry conditions. Looks like February will close out with the only measurable rain here occurring during the early morning hours of the 1st. What a month - as the super El Nino continues missing in action for much of the Southwest (see Jim Steenburgh's blog post of February 23rd for current snowpack conditions across the West). There'll not be much to summarize for February, except for cool to cold morning lows. However, our solar panels probably produced close to their maximum possible output for the month, given the serious lack of clouds. A quick look ahead shown below. The GEFS plumes for temperature (from 06 UTC this morning - above) go out through 192-hours, indicating almost no change day-to-day. The plumes generally keep PW at TUS below 0.25" during this period, so dry and itchy skin weather continues. The operational GFS version of the model forecasts most of the Southwest to remain dry through 00 UTC on March 4th (above from 00 UTC last evening). The same forecast from the WRF-GFS is of course similar, and is shown below. After 7-days there are changes in the pattern, as several short waves shift the nasty ridge eastward and allow features to break underneath into the Southwest. The GFS forecast of total precipitation through 336-hours (above, ending at 00 UTC on March 11th) shifts the precipitation action into northwest Mexico, still leaving the Southwest hung out to dry. However, the operational version of this model is notoriously dry relative to other members of the GEFS, and of course things are always very uncertain beyond seven days. So mostly, we'll hope for a pattern change during the first half of March. 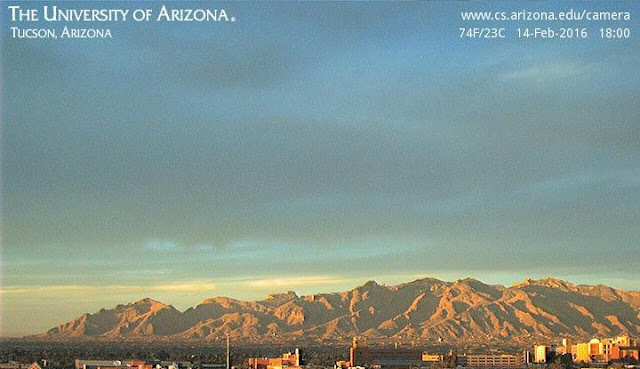 West to northwest winds were gusty and stronger than anticipated yesterday afternoon, particularly in eastern Pima and Santa Cruz Counties - the airport reported gusts to 32 mph and Nogales 35 mph. Winds were stronger over in Cochise County, where gusts of 40 to 50 mph were common - Pioneer Airfield reported 46 mph and the wind-plagued RAWS site at Guthrie had 52 mph. There was some dust blowing in the wind yesterday - the view of the Catalinas above shows a touch and the view toward Redington pass was much more obscured. Winds from the east will intrude into southeast Arizona tonight and tomorrow, and the 06 UTC WRF-GFS forecast of 10-m winds is interesting. The graphic below is valid at 10 am MST tomorrow morning and the small-scale details are notable in eastern Pima County. There is a swath of strong winds forecast along the I-10 corridor, but the strongest winds forecast in the metro area seem to be along the Rillito, dowstream from Redington Pass (note that dark orange to red tones indicate winds of 30 to 35 mph). There are two other zones of stronger winds forecast on the north and south slopes of the Santa Rita Mountains. The morning temperatures, with the east winds, are considerably warmer than (by 10 F or so) than are current NWS grid forecasts for the metro area. We'll see tomorrow how accurate the details of this 1.8 km, WRF forecast are. 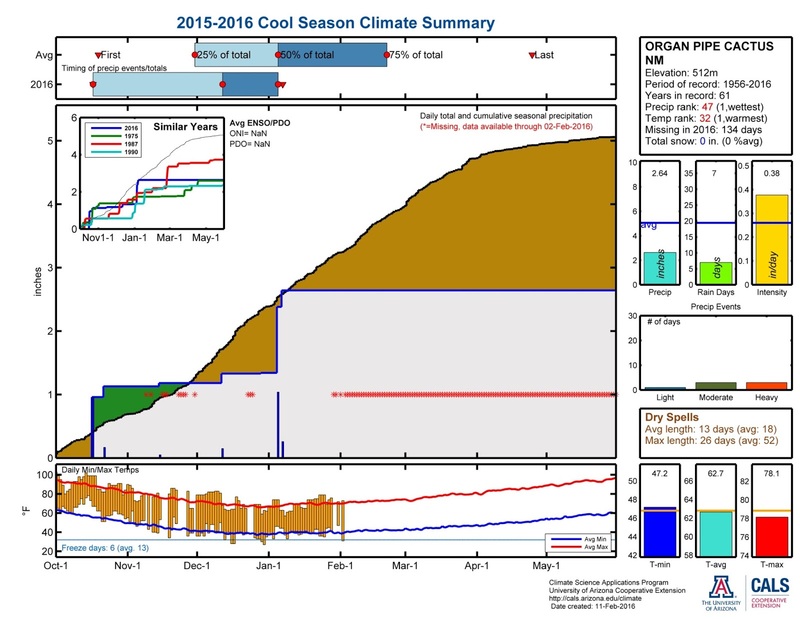 Several graphs here from Mike Crimmins' web page related to cool season and March precipitation for three El Nino cool seasons. Plots are for the airport and obviously for a minuscule sample size. This current cool season is shown above and below. The selected similar years to date seem a bit ominous, since all all are very dry after February. In contrast here are the two most notable El Nino cool seasons (one being very strong as per this year) that I could find with wet periods in March. Both are for the airport; above is 1972-1973 and below is 1997-1998. The 1997-1998 cool season was accompanied by a strong El Nino and we'll have to see if this March plays out similarly (interestingly there has been a huge difference between the February's of 1997-1998 vs 2015-2016). It would be remarkable if this cool season turned out anywhere nearly as wet as was 1997-1998. There were indeed heavy clouds around yesterday and earlier today. Unfortunately I was mostly on the run without my camera, so here are a couple of photos from the Computer Science web cam on campus. 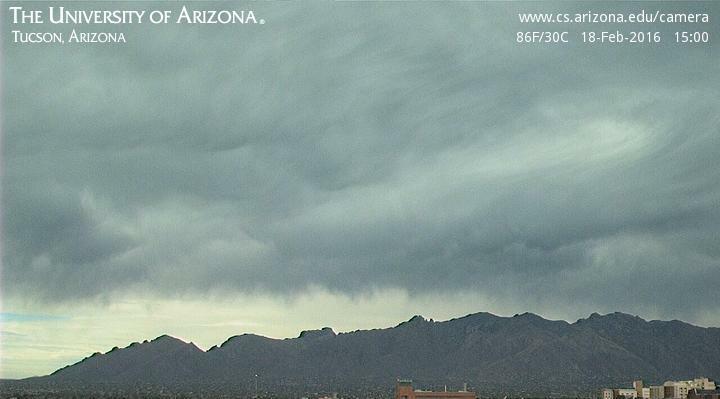 Top (yesterday at 3:00 pm MST) image shows some virga and a hint of the mammatus that were more pronounced south of the Catalinas. Image below (today at 9:00 am) captures just a bit of the mammatus that were very pronounced, with virga, over parts of the City. The GEFS plumes product is again up and running - image at bottom shows the flatlined QPF plumes from 12 UTC this morning that run through a week from tomorrow - certainly a dismal forecast for most of the rest of February. The WRF forecasts from 06 UTC this morning continue to forecast a chance of some sprinkles late this afternoon into tomorrow morning. Low-level moisture remains sparse and we may see some middle-level clouds with virga, mammatus, and some sprinkles around. The MIMIC composite PW analysis (above from 10 UTC) this morning indicates a distinct atmospheric river from low-latitudes into southern California - where there has been rain and showers last night and this morning. The PW forecast below (from the 06 UTC WRF-GFS run at Atmo) is also valid at 10 UTC. The front associated with this AR feature gradually weakens during the next 36-hours and little in the way of low-level moisture penetrates inland across the coastal ranges. The forecast at the bottom from the WRF-GFS is valid at 5:00 pm MST tomorrow afternoon and shows a weakening and broadening area of higher PW. 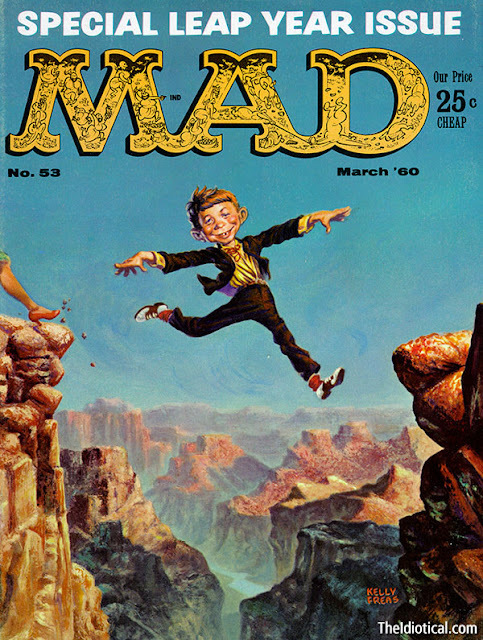 But, values remain quite low over southeastern Arizona. Thus, we apparently have an example of an AR that tried but couldn't do much for Arizona. First, the emphasis for end of week will continue to be on clouds and perhaps some sprinkles, as models continue to keep low-levels very dry. The GEFS plumes have been down since February 10th (they are an experimental product) and so there's been nothing to show from that product. The operational version of the model continues to forecast very dry conditions for New Mexico, Arizona, northwestern Mexico, and southeastern California through the next 10 days. 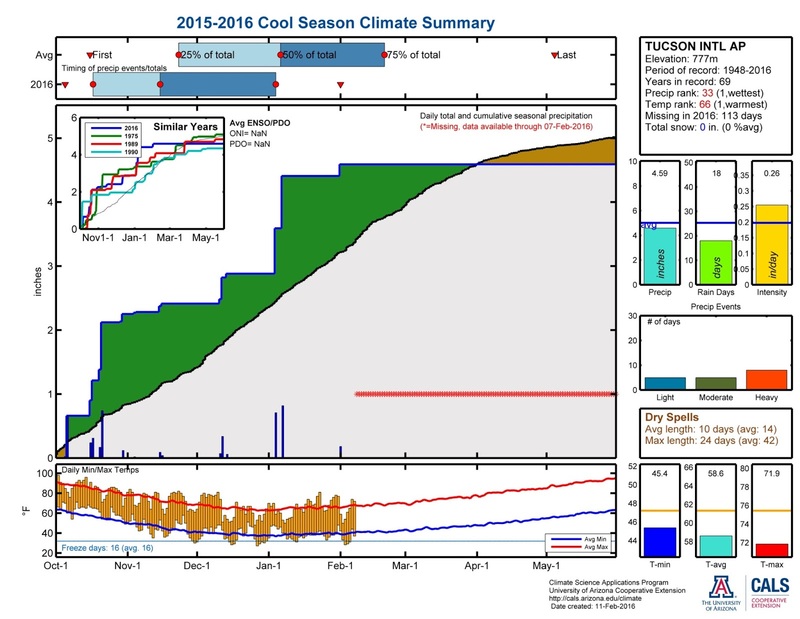 So it will be up to March to make or break this super El Nino winter for southern Arizona. As spring approaches each year the doves begin nesting, and here at the house there are three spots that remain favorites for them. Above photo shows top of beam that holds up the front porch roof - yes, it is perfectly flat with no real anchors for a nest. But, at least one pair tries to nest here every year. There is a pathetic attempt at a nest that produces mostly debris on the porch. Inevitably. several eggs splat down also - watching this effort makes us wonder why they haven't gone extinct. Photo below shows the garage door opener in the carport. This is their favorite spot, and I fight hard to keep them out - the result is always messy, even though I have tried to block the area with a box. The nest debris falls over the cars and floor and also clogs the opener lights. A close look shows twigs and stuff already forced into the tiny space between the box and the beam. The third spot is relatively new and also perfectly flat - the top of the monitoring system for our solar panels. I gave up on this spot and now just tape a box in place for them. Photo below shows a female already nesting atop an egg or two. This pair produced 6 to 10 new little doves last spring and summer, which of course explains why the doves don't go extinct. 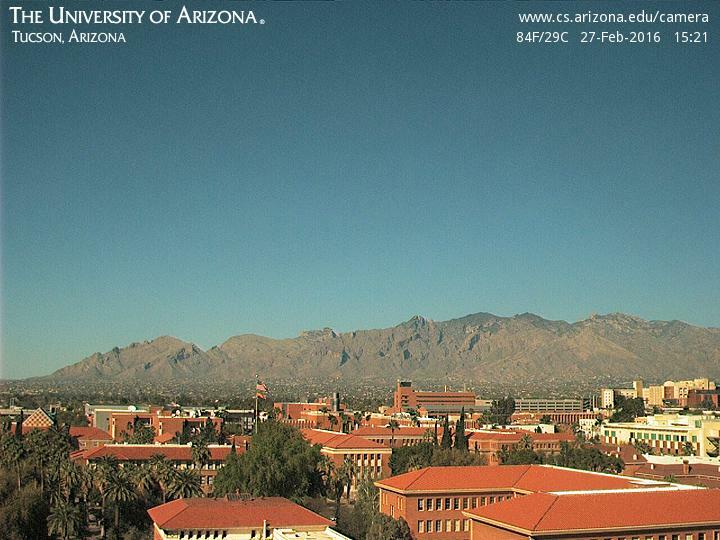 The past week can be summed up as very warm to hot and amazingly clear. 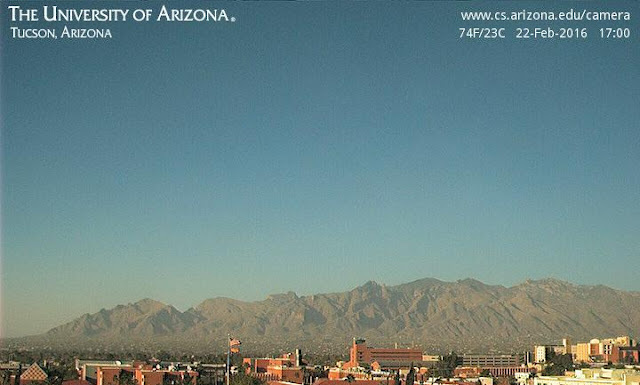 I scanned the week's worth of hourly images from the Computer Science web cam just a bit ago. The above image (this one from 3:00 pm MST on the 9th) dominates, with only a couple of views showing any cloudiness at all. The 6:00 pm image below, from Valentine's Day, captured the big weather event of the week, as some fairly thick, high cloudiness zipped by. However, this morning's (Tuesday, February 16th) weather story from the NWS above actually indicates a 10% chance of measurable rain at the airport next Friday. This is the first time the airport forecast has indicated chances for measurable rain in many days. The 06 UTC run of the WRF model at Atmo forecasts some very light rainfall next Friday as some middle-level moisture sneaks in from the Pacific. Forecast above is from the WRF-GFS and shows total precipitation accumulated through 11:00 am on Friday. Certainly not much in the forecast yet, but a definite change from persistence. The forecast skew-T for the airport valid Friday at 11:00 am (below) is pretty dismal and indicates the bulk of the clouds and moisture in middle levels, with very dry air below 700 mb and especially below 850 mb. So, the model must be forecasting the development of some large drops for them to make it to the ground, perhaps melting graupel from around the 500 mb level. The WRF-NAM is considerably drier, but both models are indicating at least a brief change from our period of clear and hot days. 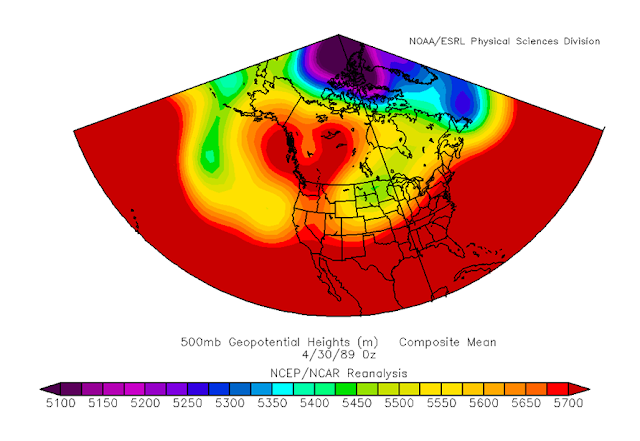 Katie happened upon this 500 mb reanalysis while examining synoptic patterns for her Spring Semester class. Absolutely perfect for Valentine's Day, even if it is a couple of months off. The weather action continues over the northeastern third of the country with some snow and very cold temperatures. Web Cam view above is of Niagra Falls at 9:24 am EST this morning. Here in southern Arizona it was a very warm week with highs at Tucson (from Monday through Friday) of: 81 (32), 83 (34), 84 (36), 85 (37) and 87 (37) F. The temperatures in parens are the lows here at the house, showing the large diurnal swings during the daytime each day (48 - 50 F). The operational GFS model's forecast (below) continues to keep it dry here for the next week. The forecast below is for total precipitation from 5:00 pm MST last evening though 5:00 pm on Saturday, February 20th. More Chamber of Commerce weather for us - maybe after Washington's Birthday we'll see a change? I have been looking at the interactive web pages of Mike Crimmins and Will Holmgren, both at University of Arizona, this morning. It has, to me, seemed like a fairly mundane winter, given all the hype about the strong El Nino and the likelihood of a very wet winter a couple of months ago. Both of these web sites allow one to "explore" this cool season (starting Oct 1, 2015) relative to other seasons within the periods of record. I've shown three examples here. Above is the current season for precipitation at Organ Pipe National Monument. 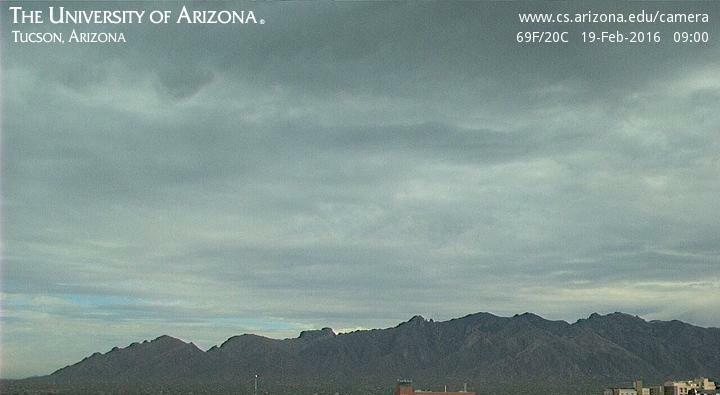 There have been only two significant events at Organ Pipe and the season is now below normal out there. The plot for TUS at the airport is shown below. We basically experienced the same two events (one in October and one at the start of January, and these two have kept the airport above normal, but the dry period since the start of January will soon take the airport back into the brown, unless another event materializes in the next several weeks. For contrast, the second below shows the season for Van Horn, Texas - over in the Big Bend country. 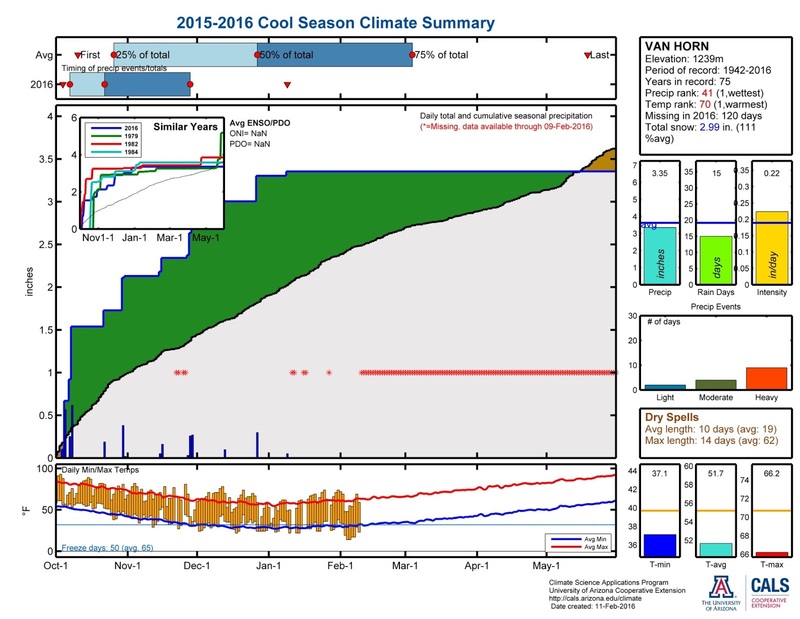 Van Horn is having a wet cool season so far, and wouldn't cross into the brown until April, if no additional precipitation occurs. 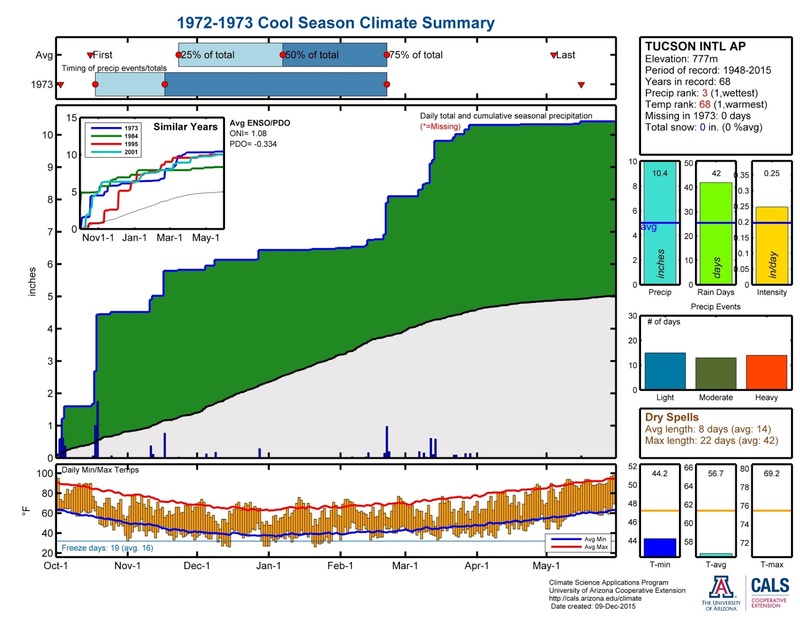 Yuma provides the ultimate contrast to these stations, since there has been no cool season precipitation measured out there. Will's website is very interactive for the TUS precipitation observations and allows the user to compare various years wrt the strength of El Nino conditions. 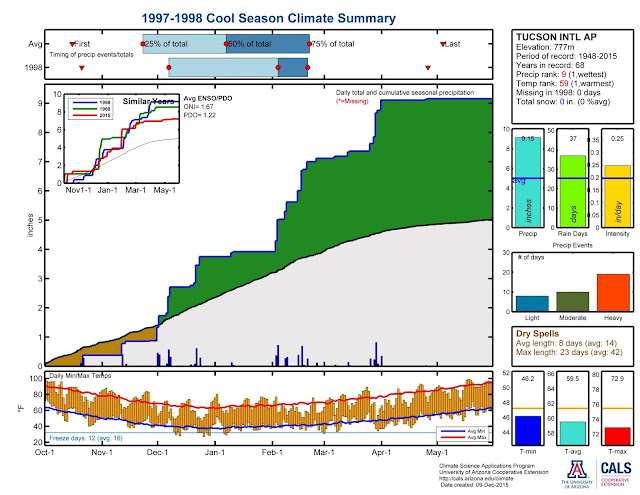 I've highlighted the dark blue curve above, which is for the 1997/1998 season (note that the cool shades indicate stronger El Nino conditions). The very wet season that year had significant precipitation events here in February and March, so it's too soon to write this season off as bust. Will's site is at the link below. 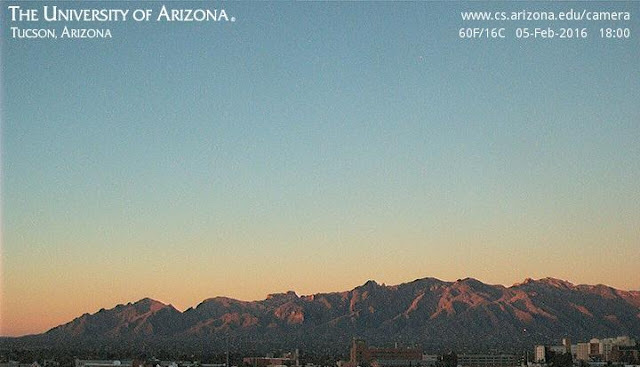 We had a very nice sunset yesterday, highlighting the contours of the Catalinas under clear skies. The ASOS at the airport reported a high yesterday of 81 F yesterday after a morning low of 39 F. The low here at house was 32 F, so the diurnal temperature changes around the metro area were in the 45 to 50 F range. There were gusty winds at times, so there was a bit of "weather." The morning forecast from the NWS (below) for the next week is somewhat monotonous. Highs are forecast to range from 80 to 83 F with the lows all week falling into the range 45 to 48 F. Looks like a perfect week to get out-of-doors and also to tackle early spring yard chores. Those forecast highs are around 10 to 15 F above typical values for this particular week of the year. The Super Bowl wasn't very and Newton wasn't number 1 - that honor went to the Denver Crush defense that put more points on the board than both quarterbacks combined. It seemed like there were endless yellow and red flags flying through the air, continually disrupting what little flow there was in an ugly game. 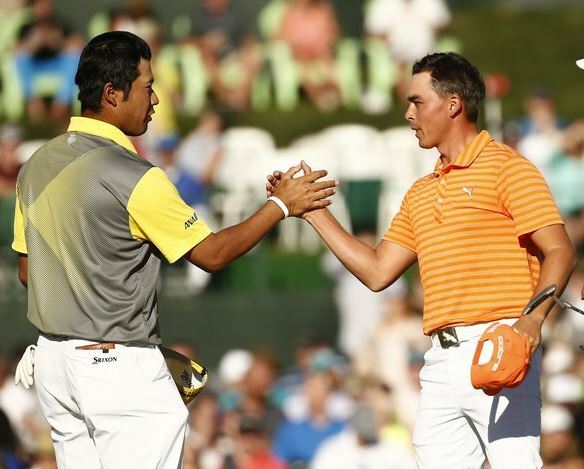 Just to our north at the Waste Management Open it appeared that Rickie Fowler had the tournament wrapped up. However, he ended up flushed in the green, slimy looking lakes - ugly things that certainly are out-of-place here in the desert. Hideki Matsuyama stayed dry during final holes and didn't waste his opportunity, winning on the fourth playoff hole. Above graphic is ECMWF 500 mb forecast valid at 5:00 pm MST this afternoon, Sunday February 7th. Looks like Super Bowl L will be played, in San Francisco, beneath the core of the anticyclone. Meanwhile, in Scottsdale, Arizona, the final round of the Waste Management Phoenix Open will be played with subsiding air overhead. How's that for a totally gross sponsorship? The PGA must have really been blinded by greed when they let that go forward. No weather/El Nino problems are going to impact these televised events. The 500 mb pattern actually has a Rex Block character, with a weak cyclone located beneath the strong anticyclone. Indeed, the global models forecast this ridge to dominate through the coming 10 days, as the anticipated, wet El Nino winter remains missing in action here in southern Arizona. Photo below is of the Broncos' first play during Super Bowl XLVIII, two years ago. 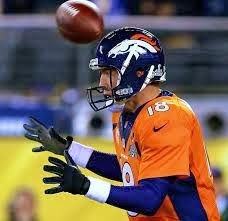 The Broncos were smashed in that game by by the Seahawks, 43-8. Wonder what today will bring, other than endless hype and thousands of commercials? Easterly winds this early morning (which models have been forecasting for several days) have led to much milder temperatures across most of the metro area. Above is the forecast from the 12 UTC WRF-NAM model run yesterday - valid time of the forecast was 6:00 am MST this morning. Second below is same forecast but with wind gusts shown. For some unknown reason there were some gremlins in the morning WRF runs yesterday, with small bubbles of very cold (below zero) air here and there during the night. Aside from these, the forecasts appear quite reasonable. 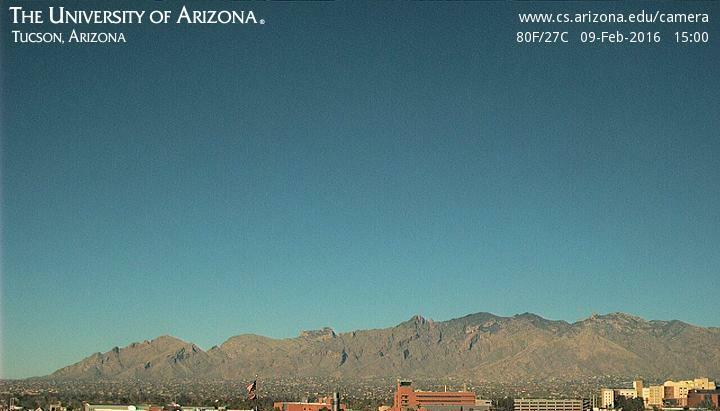 The observations show a range of about 20 F from the northeast side of town out to Marana in the northwest. This reflects the very large range in wind gusts this morning, with very light winds many areas, and strong gusts along I-10 and especially downwind from the Redington Pass gap between the high mountains. It seems calm here and quite cold in the pre-dawn hours, and I'll add our low later. Added at 8:30 am - low temperature here this morning was 26 F vs 43 F at the airport (TUS). Lows here Tuesday the second through this morning: 27, 19, 20, 25, and 26 F.
The time-series of temperature from Atmo at the bottom illustrates the considerable warming from yesterday morning to this morning. The entire month of January had only one rainy period from the 4th to the 8th, but we had 1.36" of rain here at house during those days. This January was fifth wettest during past 17 years here - so not a bad month. The wettest during those years was 2.96" in 2010, while the driest was 0.00" in 2006. Many cold mornings here during the month - 19 mornings with a low of 32 F or colder and 9 of these were at 28 F or colder, with 25 F on two mornings being coldest. However, yesterday morning was the coldest morning here of the winter so far with a low of 19 F, and it feels about that cold again this morning. February started with a damp day on the 1st, but the GEFS models don't indicate much hope for most of the month's first half. The operational GFS forecast of total precipitation through 00 UTC on the 14th is shown above. The GEFS QPF plumes through the 11th (below) have flatlined - so not much on the weather horizon. The NWS CPC outlook for February is shown above, indicating good chances for a wet month in the Southwest. However, the current 6 to 10 day outlook (below) mirrors the GFS model and indicates dismal dryness through the 13th. So, if the month is to eventually turn out wet, we'll have to hope for an active pattern during the second half.